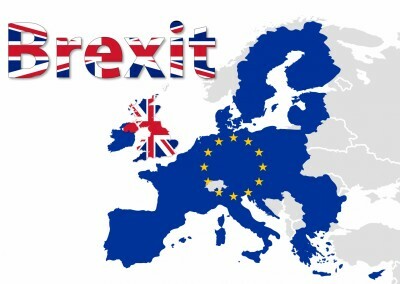 On June 23, British voters will accept or reject a proposal that Britain leave the European Union. The latest polls show the vote in favor of the British exit, or “Brexit,” narrowly ahead. The case for getting out has largely been driven from the political right, on the grounds that dropping out of the EU would allow Britain to close off immigration and free British businesses from rules made in Brussels that protect labor and the environment. A liberated Britain, goes the argument, would have the freedom to pursue policies that would bring it more prosperity. But after an initial shock, the prolonged economic uncertainty following a win for Brexit would hit the U.K. economy much harder than its promoters expect. It would take at least two years to negotiate the terms of the pullout with the remaining 27 countries, which are unlikely to give Britain anywhere near its current privileged access to member countries’ customers or financial markets. It will then take even longer for the U.K. to find and negotiate trade deals for other export markets at a time of spreading deflation and rising protectionism throughout the globe. Pile on the political complications of disentangling British business regulations from rules made in Brussels, and the adjustment process could take as long as a decade. By that time, Britons may well end up with less sovereignty over their lives than they have today. Membership in the EU comes with constraints, although the British already have an arrangement that gives them special flexibility. But membership also provides the average Brit some protection against the brutalities of unregulated global markets. Divorced from the bargaining power of the EU, Britain’s social safety nets could be further sacrificed to future governments’ desperate searches for new trade and investment deals to compensate for the loss of markets on the continent. Perhaps the most serious danger is the potential dismemberment of the U.K. itself. Scotland is very pro-EU, and the Scottish first minister has already promised that in the event of a Brexit win there will be a new referendum on independence to allow Scotland to join Europe as an independent nation. Ironically, a rejection of the Brexit might also have some unintended consequences for the U.K. conservatives who put the referendum in play. Depending on its margin, a reaffirmation that Britain’s future is tied to Europe might ultimately move the ideology of the British electorate closer to the social democracy of its continental neighbors. Thus, for example, reinforcing the efforts by Jeremy Corbyn to return the Labour Party to its socialist roots. Across the English Channel, a divorce from Britain might ultimately benefit the EU. In the short run, disruption and uncertainty will take its toll on both sides. But without the drag of British neoliberal ideology, the core continental governments might be freer to tackle the economic contradictions that have stunted their collective growth and led to the revival of the nationalism that the EU was designed to overcome. The European policy paralysis that followed the 2008–09 recession showed the folly of integrating markets without creating sufficient collective political authority for macroeconomic stability. The result has been a default policy of austerity. A Brexit might just be a catalyst for a new grand bargain—perhaps involving only the Eurozone—that would marry authority for common fiscal and monetary policy with a commitment to fully shared prosperity.